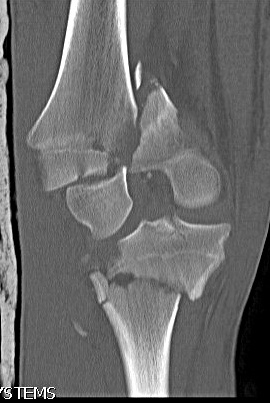 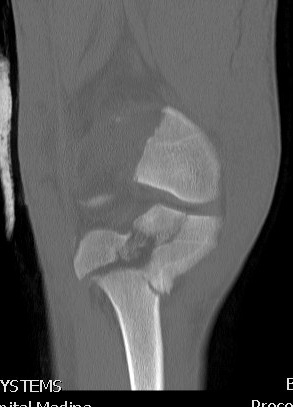 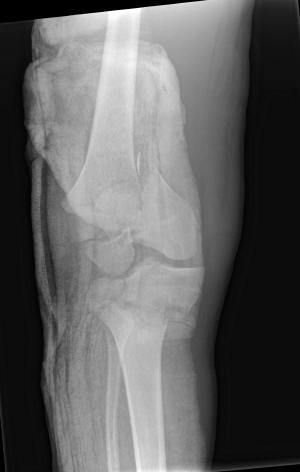 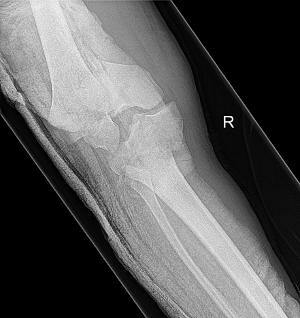 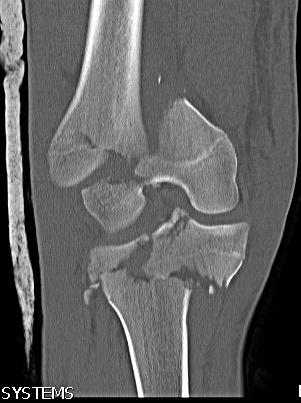 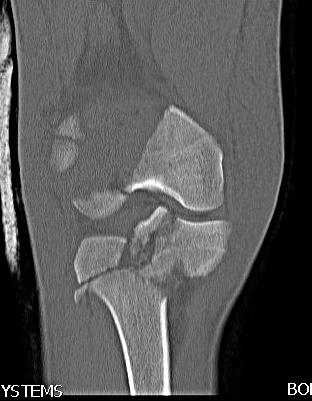 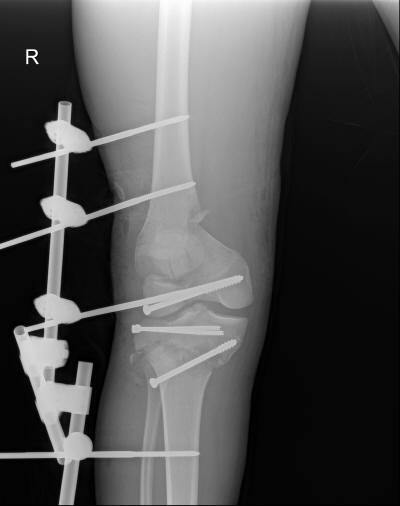 17 years old male involved in RTA sustained comminuted epiphyseal fracture distal end lt femur , ipsilateral tibial plateau fracture and severe skin and muscle lacerations around the same Knee . 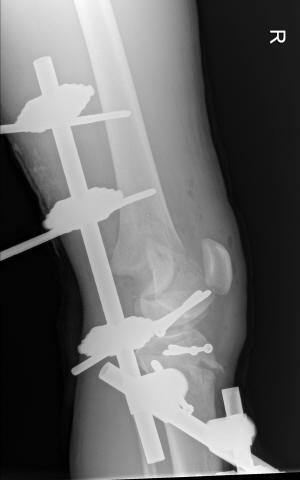 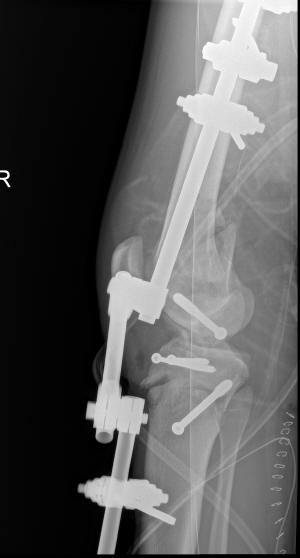 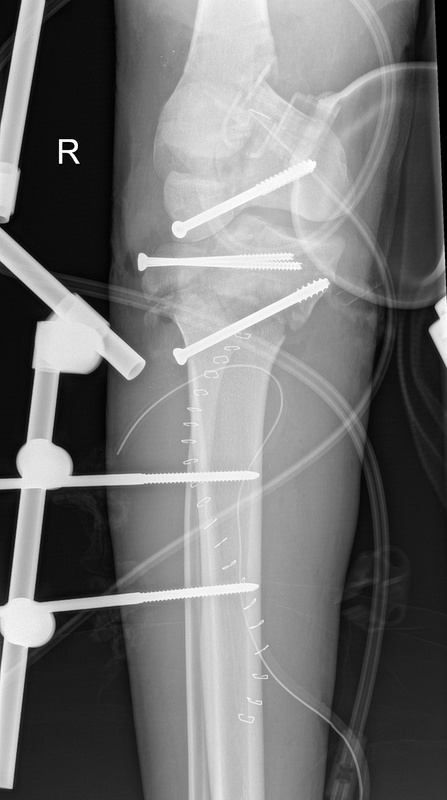 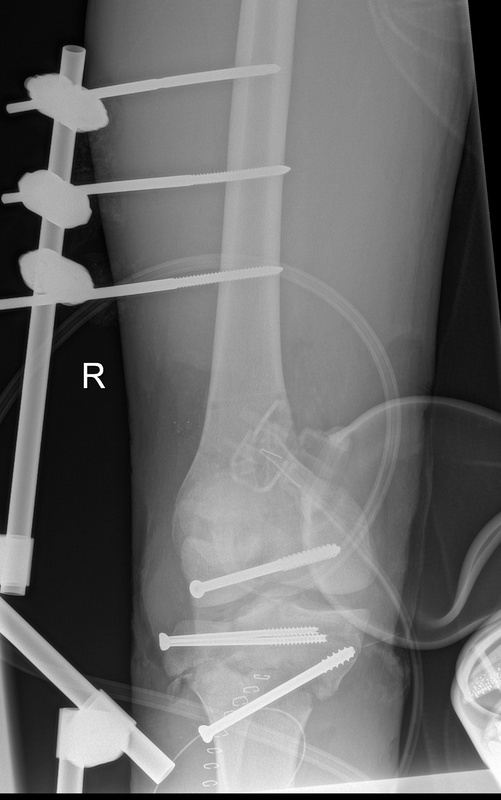 Primary debridement was done immediately in OR and an External Fixator was applied . Many debridements were done later on .. 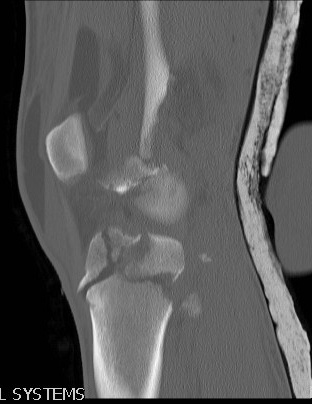 Skin grafting and muscle flaps. 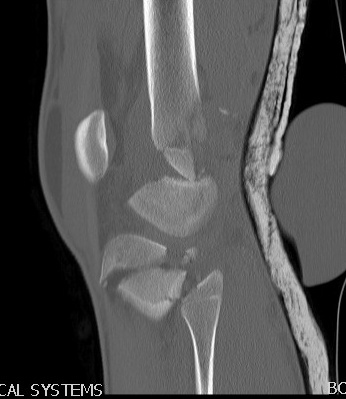 The skin is covered now with Granulation tissue .